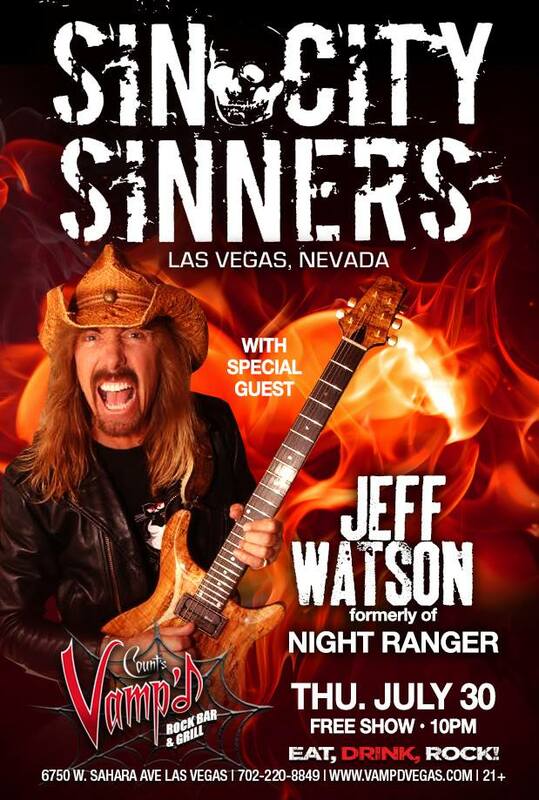 Home›Reviews›Sin City Sinners - Rocking Vamp'd with Night Ranger's Jeff Watson! 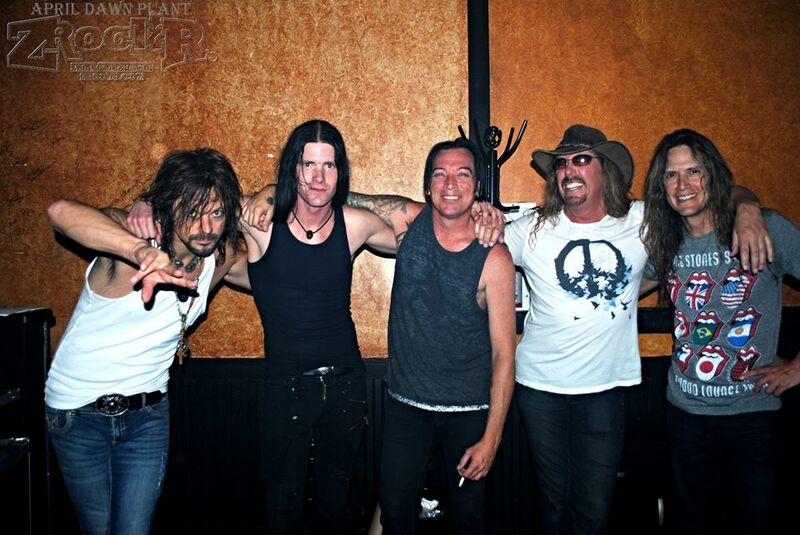 The Sin City Sinners played Count's Vamp'd on Thursday, July 30, 2015, with former Night Ranger guitarist Jeff Watson as a guest. Eight years of Sin. And the party is just getting started. The Sin City Sinners have been rocking this town for eight years, and show no signs of settling down. 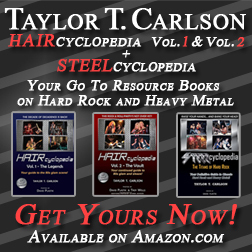 Hundreds of shows and several recorded CDs later, things are still going strong for the Hardest Working Band in Vegas! The group was initially started by Faster Pussycat founding guitarist Brent Muscat, with its earlier incarnations including Todd Kerns (Age of Electric, Slash), Rob Cournoyer (Raging Slab), and Zachary Throne (an actor and self-trained musician). In the course of the past year, the band lineup has completely changed, with nearly no one left from the earlier incarnations. 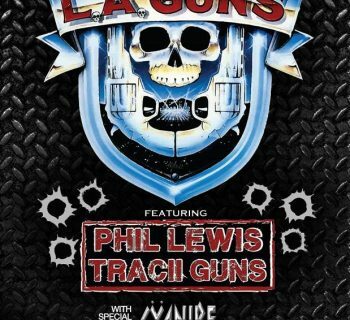 This new, “next generation” lineup of the band features vocalist Joshua Alan (BlackBox13), guitarist Michael “Doc” Ellis (Love/Hate), bassist Scotty Griffin (LA Guns), and drummer Blas Elias (Slaughter, Blue Man Group). It is a radically different lineup, but these are artists who have more than proven themselves in their respective bands over the years. Night Ranger's Jeff Watson on stage at Vamp'd! 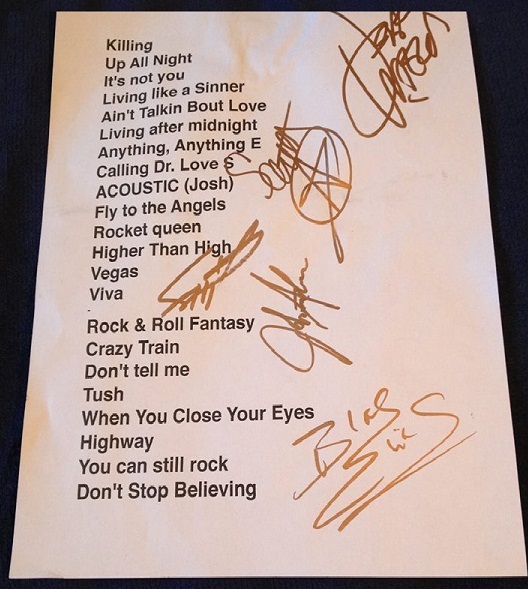 One thing that any Sin City Sinners fan will tell you is that, over the years, one of the most impressive things about the band (who are plenty talented on their own) is the sheer array of guest stars that they are able to get to perform with them. These guests run the gamut across various rock genres, from yesterday’s world superstars to more recent, up-and-coming artists, and even a few other non-music entertainment personalities as well! Well over a hundred different guests have jammed with the group, and this fan was all the more excited to find out that original Night Ranger guitarist Jeff Watson would be jamming with them at the July 30, 2015 gig at Count’s Vamp’d. As the performers of classic hits like “(You Can Still) Rock in America” and “Sister Christian,” Night Ranger remains ranked as one of the most respected bands in 80s rock. 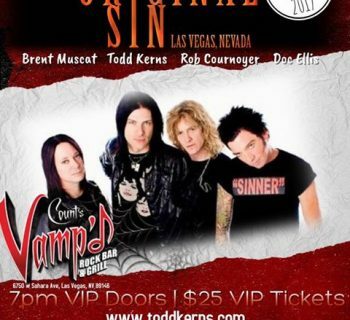 Sin City Sinners & Jeff Watson! Similarly, another thing worth mentioning in this regard is, during said guest appearances, the band is always able to adapt to play a few tracks from the guest’s respective band of origin, and a few other songs of the guest's choosing. The group is always working hard to learn and play new songs, always managing to rise to the occasion! This is no easy task for ANY band, but the Sinners pull it off nicely with each and every new or returning guest they have. The show was kicked off with a cover of Rage Against the Machine’s “Killing in the Name” that immediately got the attention of the audience; vocalist Joshua Alan’s singing style suits these heavier, modern-ish songs surprisingly well, as these fans discovered from the very beginning. The presence of classic Slaughter drummer Blas Elias also resulted in the band performing covers of the Slaughter classics “Up All Night” and “Fly to the Angels,” complete with acoustic guitar on the latter. Slaughter songs are not easy to sing due to the high notes a young Mark Slaughter was once able to hit, but Joshua Alan once again proved to be up to the challenge on them both! 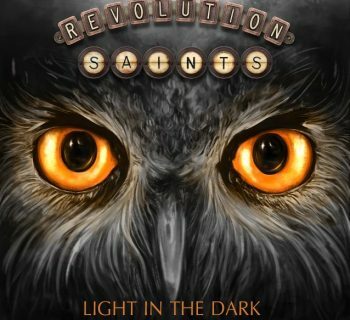 The rest of the set’s first half included a mixture of Sinners originals and cover songs, including cuts from their upcoming sixth CD, and covers from groups like Guns N Roses, Van Halen, and Judas Priest. Other members of the group got a chance to shine on vocal duties as well, with guitarist Doc Ellis rocking a medley of Dramarama’s “Anything Anything” and Sponge’s “Plowed,” and bassist Scotty Griffin performing vocals the KISS classic “Calling Dr. Love.” For this fan, the highlight of the first half of the show was Joshua Alan performing an acoustic cover of Queen’s “Somebody to Love;” this was an unexpected surprise. 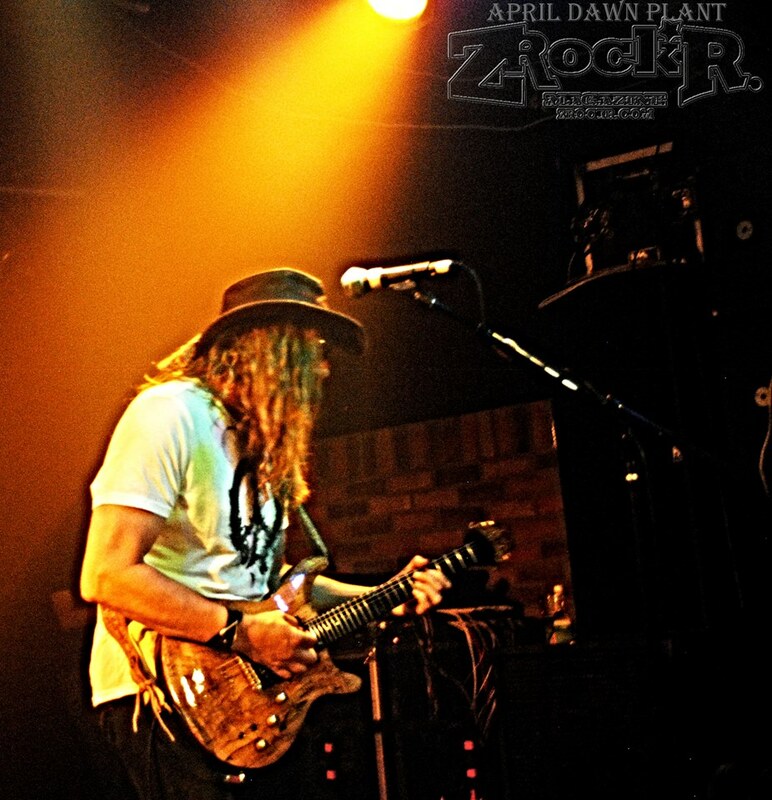 Even being reduced to only having a single guitar player on most tracks, Ellis (himself formerly a bass player in the band) proved himself to be more than up for the task at hand. Likewise, Blas Elias absolutely killed it on the drums from start to finish. Setlist from the show. 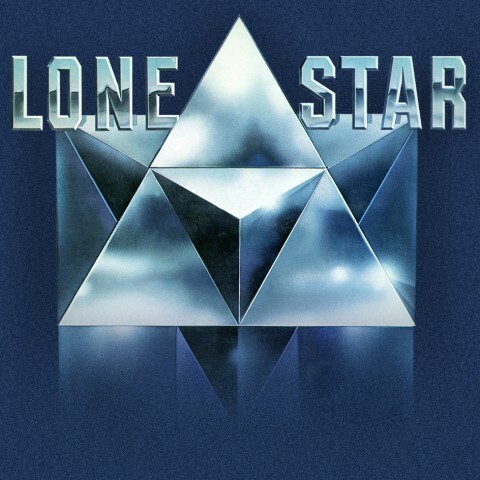 Featuring a solid mixture of originals and covers, and of course, Night Ranger songs that Jeff Watson originally played on in that band's glory days. The latter half of the show, of course, was heralded with the arrival of Jeff Watson himself. Almost immediately, he tore into a guitar solo that immediately caught the attention of everyone in the crowd! Watson’s set with the band included covers of classic hits from Bad Company, Ozzy Osbourne, AC/DC, and even Journey. Of course, a set with Jeff Watson would not be complete without some Night Ranger songs, and we got those in the form of “Don’t Tell Me You Love Me,” “When You Close Your Eyes,” and “(You Can Still) Rock in America.” At the tail end of the show, Watson launched into an impromptu solo version of “Sister Christian,” and was even joined by the rest of the band, though this was more of a gag and not the complete song (as the original is primarily piano driven, performing a traditional, faithful rendition would not have been possible). Watson had the eyes of the audience glued to him for the duration of the performance. The Sin City Sinners once again proved what makes them the hardest working band in Las Vegas, and Jeff Watson’s guest spot made it all the more interesting. 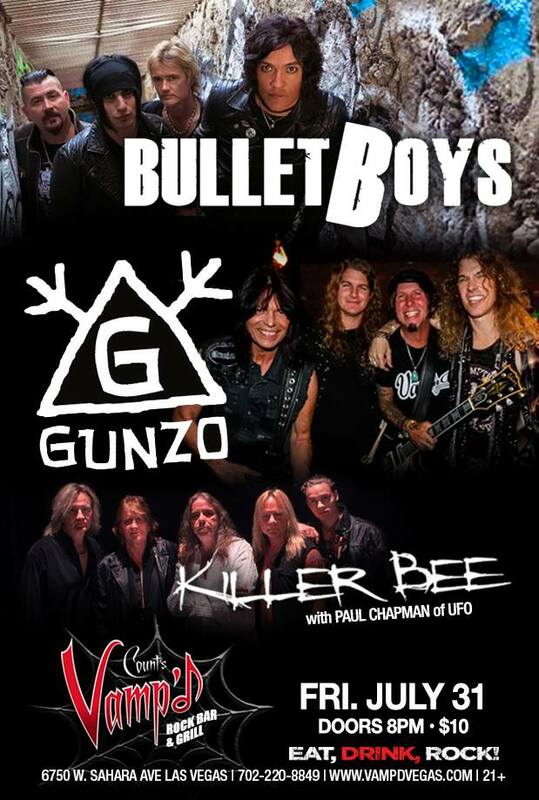 The band has many more shows on the horizon, including one opening for Tom Keifer (of Cinderella fame) in August, and one with special guest Eddie Ojeda (of Twisted Sister fame) lined up for September. Here’s to several more years rocking the City of Sin! Enuff Z'Nuff - New Reissues from Rock Candy Records!